As temperatures drop and the sniffles start, take hope; research published this summer suggests a new approach to protect ourselves from the common cold. Obstructive sleep apnea is a clinical disorder characterized by repeated partial or complete blockage of the airway during sleep. As anyone who has experienced an annoying alternation between dry and watery eyes can confirm, tears alone aren't enough to keep the eye from drying out. A microscopically thin film of oils known as the tear film lipid layer is key to preventing the tear film from evaporating. People with chronic kidney disease are at unusually high risk of also developing cardiovascular disease; in fact, a patient with non-dialysis kidney disease is more likely to die of heart failure than to develop end-stage kidney failure. Scientists from EPFL and the University of Wisconsin-Madison have carried out one of the most extensive lipidomics studies to date, connecting almost 150 different lipid species to their respective genetic regulators, revealing signatures of metabolic health and disease. Tumor cells use the unfolded protein response to alter circadian rhythm, which contributes to more tumor growth, Hollings Cancer Center researchers at the Medical University of South Carolina find. Researchers at the Medical University of South Carolina Hollings Cancer Center have discovered a mechanism that confers resistance to drugs used to treat certain types of acute myeloid leukemia (AML). The Medical University of South Carolina's Hollings Cancer Center received an $8.9 million grant from the National Cancer Institute designed to foster collaboration across clinical and laboratory research for the study of signaling in sphingolipids, a class of lipids known to be involved in the growth of solid tumor cancers. 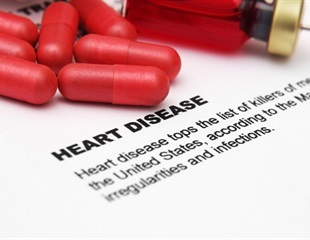 Researchers have learned new information about how different people respond to aspirin, a globally prescribed drug in cardioprotection. The research team, led by scientists at Cardiff University in the United Kingdom and including representatives from the University of Alabama at Birmingham and the University of Colorado, identified more than 5,600 lipids — or fats — in blood platelets and gained new insights into how these cells respond to aspirin. Researchers have developed a new analytical tool for medical applications and biological research that might be used to diagnose cancer more rapidly than conventional methods.